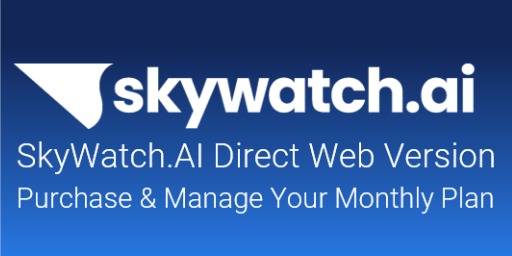 At SkyWatch.AI, safety means professionalism. We have gathered 11 safety and preparation tips for your next flight. 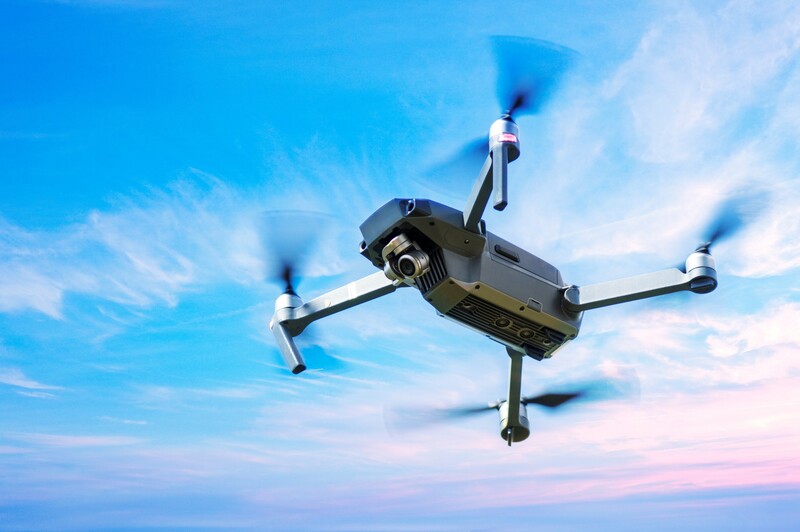 In 2018, we saw another spike in drone usage, both for commercial and recreational purposes. Companies, institutions, researchers and entrepreneurs learned how to harness drone technology while creating new and creatives ways to use it. Today’s drones are available in different shapes and sizes and vary across a range of prices. As a result of the advancement of drones, a new generation of agriculture, 3D modeling, and exceptional artistic images have emerged along with an increasing demand for further drone education. Concern for public safety and privacy are two pressing issues that have attracted major headlines over the past year. The public attention grew even more aware over the last couple of months considering the numerous reports of air-space violations, including the peak incident at London’s Gatwick and Heathrow airports. Air-space limitations, or lack thereof, and the growing concern regarding privacy has created conflicts between drone operators, bystanders, and authorities. Some are even convinced that drones are being used as spy cameras, set to invade private homes and monitor public life. Of course, the depiction of drones in movies and the general media has not helped much either. So, while authorities in each country are pushing for control and general education, it is up to pilots themselves to properly develop their skills, awareness and professional attitude in order to create the much-needed confidence and support for the drone community. To avoid any mishaps with drones and the drone pilot community, we must ensure that all drone pilots are aware of the best safety measures. Whether you’re a beginner pilot, or an expert, this article will help you minimize risks, ensure a safe flight, and most importantly, a safe return home. We’ll start with the basics. For those of you at the beginner level, it’s important that we discuss how to choose your next drone. For those of you who already have a drone, feel free to jump ahead. 1. What is the right drone for the job? What do I want to do with my drone? How much time will I spend flying it? Ready to Fly Drones - RTF shelf drones can be used immediately after taking it out of the box. The drone will most likely be equipped with an advanced built-in stabilizer and safety sensors. Do It Yourself Drone Kits- DIY kits are customizable to your personal needs so you can ultimately build the drone from scratch to your liking. This means that the basic kit won’t have any safety features and it is up to you to pick the safest, most efficient parts for your drone. Becoming a professional pilot will not happen overnight. When you start operating drones it is important that you get initial guidance from a professional who can cover the essentials and introduce you to more complex techniques.Even after your initial training, continue to practice and test yourself with camera-drone movement, take-off, landing, and avoiding obstacles in various speeds and altitudes. Before investing in a more expensive drone, it is recommended that you gain experience and practice with a cost-friendly drone. 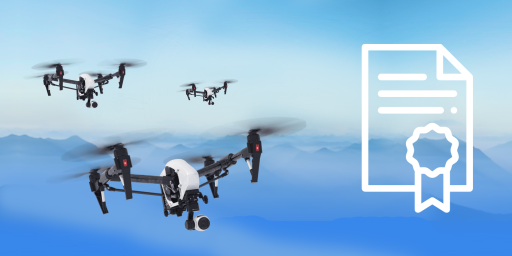 Before you taking your drone to the sky, make sure that you are up to date with the local and federal rules and regulations that apply to you. Expert pilots, this part is for your too. If used in an unsafe manner, drones can disturb numerous things in the air and on the ground. Before flying, perform a maintenance test to make sure that all the drone parts are working properly. While everything may be currently intact, it is important that you are equipped with spare drone parts and accessories in the event of a malfunction. If your drone experiences a fried motor, a bent propeller or a dead battery, having spare parts in advance will save your time in the long run and allow your drone to make a quick recovery. Focus on your safety, avoid any and all dangerous situations, and always use your best judgment. While creativity may spark new uses (maybe one day a drone will keep an eye on your kids as a nanny cam) keeping a high standard of safety and reason is crucial, mainly for your own sake and image as a professional drone pilot. Lastly, always start flying your drone at a slow speed and resist the temptation of speeding. It is crucial that you understand the area you are flying in before you send your drone up in the sky. One of the best ways to do this is via the SkyWatch.AI app. Using the plan your flight feature, you can map out the area you intend on flying in. 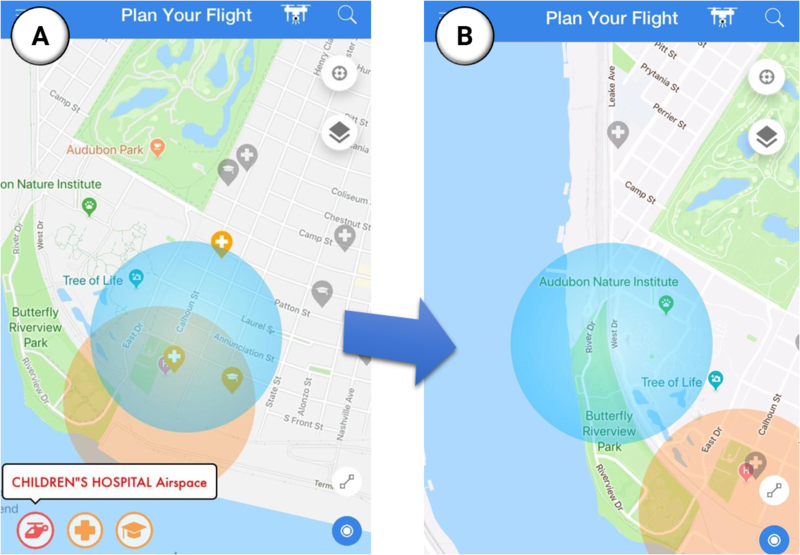 The SkyWatch.AI app allows you to study dominant concentrated areas, such as industrial parks, schools, or congested intersections before flying so that you will not have to worry about changing positions during your flight. As you can see in image A on the right, the blue circle is a radius that I would hypothetically want to fly in. I immediately learned that there is a hospital in proximity and that by flying my drone there, I would interfere with their airspace used for medical emergency helicopters. Planning my flight and learning this information prevents me from future potential risks and lets me focus on finding a safer area to fly in (as pictured in image B). My new radius does not interfere with any populated area and now I can familiarize myself with that location. Checking the forecast is crucial when planning your flight. While drone technologies are extremely advanced, they can still not compete with harsh weather conditions. Rain, snow and heavy winds can damage your drone in a way beyond repair. Now that you are brushed up on the most relevant safety procedures, you must address the risks. Once you have invested in your new drone, it would be a shame to encounter unnecessary crashes and mishaps. that will compromise your operation and damage whatever work you are engaged in. 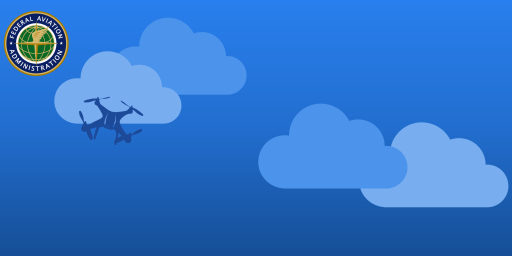 The SkyWatch.ai app can be useful here too because it can inform you in real time about the weather, and if it’s a good day for flying. Always conduct a structural integrity test before flying. This will allow you to see that all the rotors, cables and mounted equipment, such as camera and safety sensors, are working properly and that they are not damaged. Make sure you don’t have any broken ports or loose cables that will disconnect you from your radio transmission. This is also the time to check that your battery is at a full charge so that you know how long the drone is capable of flying. Your drone’s compass may become detuned if it comes into close contact with any magnetic disturbances. Keeping it away from such magnetic forces (found in car speakers, phone lines, and powerlines) will help avoid detuning the compass. Additionally, monitor your flight via a GPS in order to stay clear of any obstacles. Note that flying your drone indoors decreases your chances of accessing a GPS signal. Doing a thorough terrain, road-map, and satellite analysis (as seen in the images pictured earlier in the article) will help you better understand your flying area and show you possible restrictions. 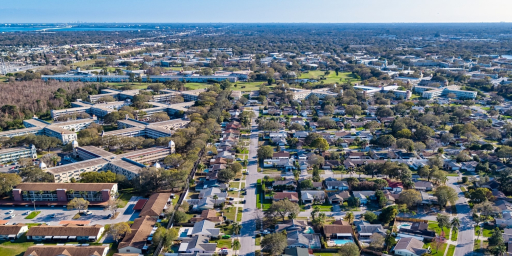 Flying beyond visual line of sight is against the FAA’s regulations and if your drone is too high or far you are risking in losing direction and control the of your drone. You must always be able to see your drone in order to detect and avoid hazards and obstacles. . If you decide to fly over water, notice that often times the reflection of the water disturbs the visual positioning system of your drone and can potentially throw it off track. In order to avoid doing so, do not fly less than 15 meters above a water surface. Having a co-pilot is one of the best preventative measures for complex flights where you need to perform a precise flight and at precise camera movement at the same time. You'll have to upgrade your setup but if one person focuses on monitoring the drone in the air, while the other manages the controller, the chance of having any accidents will significantly decrease while you manage to secure the shoot. by having these basic drone safety tips in mind, you are guaranteed to have a safer and better flying experience. These tips will serve as tools for you throughout the development of your drone career and will allow you to feel more confident while on your way. As the drone industry continues to expand, so will the safety measures. Remember to keep up to date with the latest drone trends so that you too can further your advancement!